My eight-year-old is on a quest to see every Disney theme park in the world. 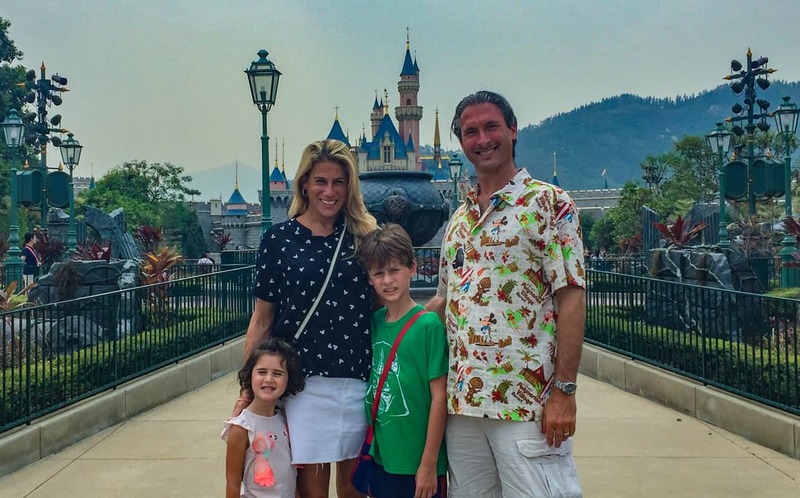 We surprised him with a Disney Hong Kong vacation. We’ve loved seeing the similarities and differences of the Disney parks in the United States, France, and Hong Kong. 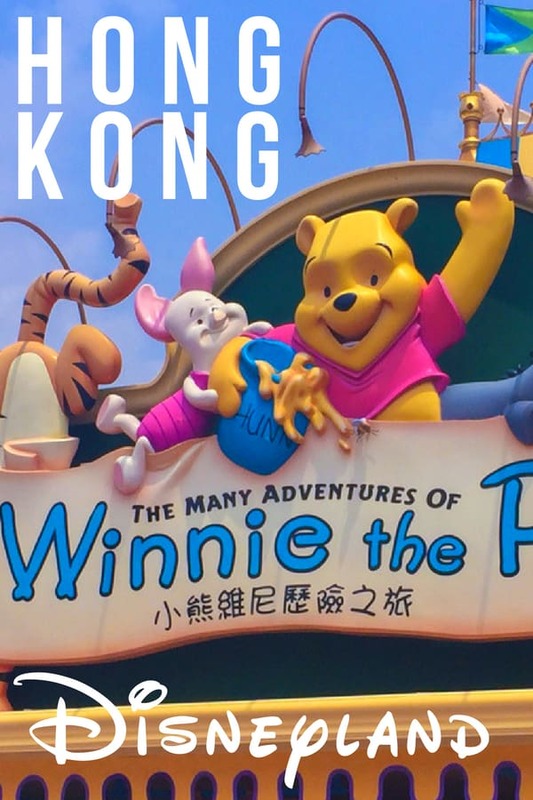 Disney Hong Kong is a short ride from the Hong Kong International Airport, on the island of Lantau. We had arranged transfers through Disney and had asked them to not announce where we were going in order to keep the surprise. The driver and the hotel complied and soon we were whisking through the magical gates with my son crying with happiness. Mission accomplished! There are three hotels near Hong Kong Disneyland that part of the property. 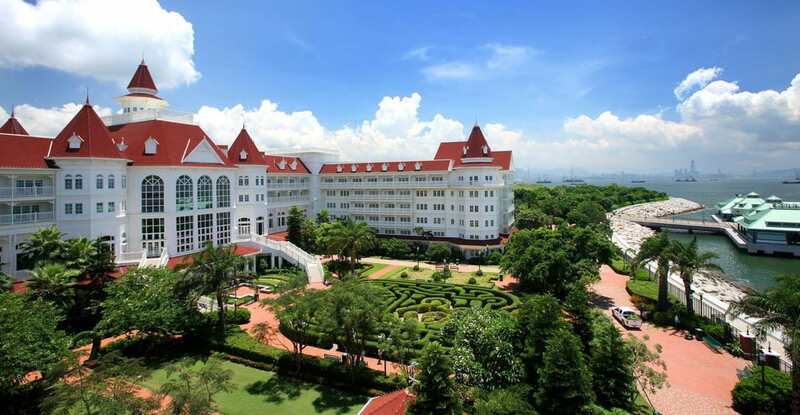 The Hong Kong Disneyland Hotel is an overt nod to the Grand Floridian at the Walt Disney World Resort in Orlando. Even the rooms share similar palettes with gold and burgundy. But there are lovely differences like Tai Chi classes with Master Goofy in the mornings while you visit the Walt Disney Company resorts Disney Parks around the world. 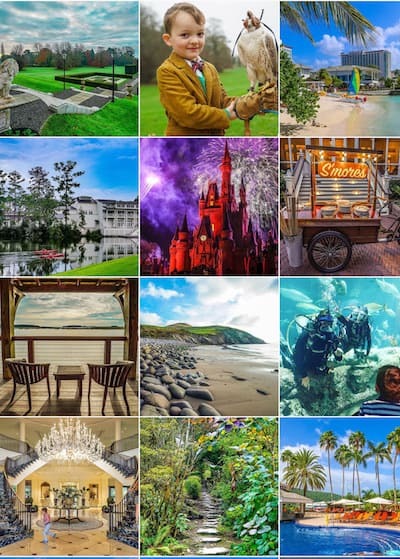 Like the Grand Floridian, Hong Kong Disneyland Hotel is considered the signature Disney resort while the newest Disney Explorers Lodge offers an adventure theme, a bit like Animal Kingdom Lodge but without the animals. Disney’s Hollywood Hotel resembles the art deco parts of Hollywood Studios in the United States. That’s no man made lake. The Hong Kong Disneyland Hotel offers sea views from the island of Lantau. Photo courtesy of Hong Kong Disneyland. Nearly everything is less expensive here than costs for similar experiences in Orlando. A club level room at the premier hotel in Hong Kong runs about $600USD, while its Florida resort cousin, the Grand Floridian would be significantly more. We ordered the in-room celebration that included balloons and welcome toys. 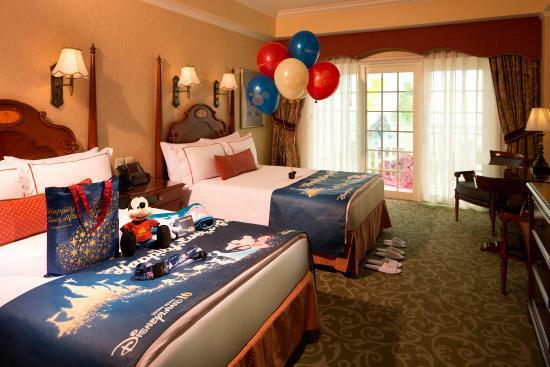 We were escorted to our room which, upon request, had been decorated lavishly replete with special Mickey Mouse plushes for both of my children, the Celebration Room Decoration Package. My daughter was a bit more enamored with the bathrobe and slippers in her size. Our lovely hostess at the Kingdom Club explained everything to us and reminded us that we had a character meal booked that evening. Kingdom Club level rooms and suites have their own check in. We were ushered up to the concierge floor, and after seeing the crowds in the lobby, I was so happy to be staying club level. Like most Disney club levels, it offers a light breakfast and snacks during the day. At night, the buffet becomes more substantive with appetizers, alcohol, and desserts after. 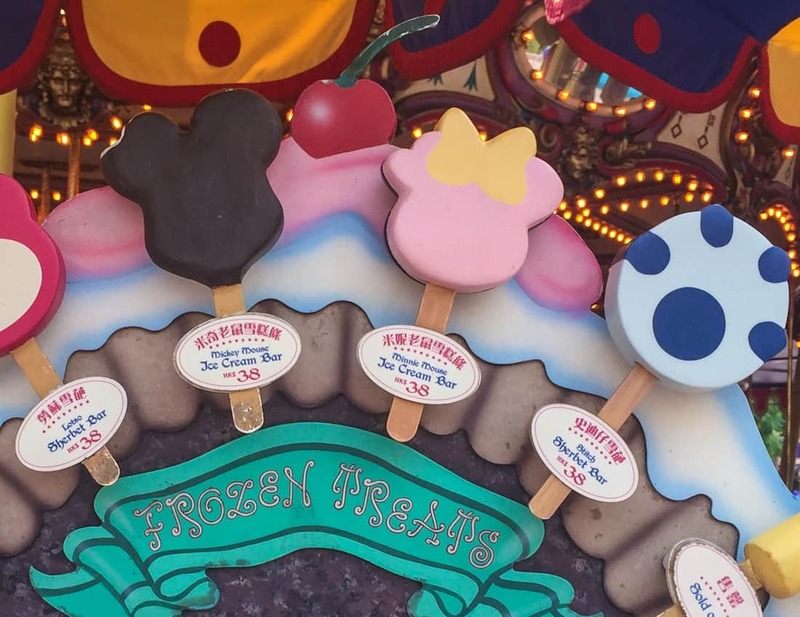 I wish I could say that we stopped eating then, and perhaps I should have, but one of the perks of the club level in Hong Kong Disney is a dessert pajama party with a character. So, we finished off dinner, made our way to the club lounge, only to be greeted with cordials, cookies and characters. We were lucky enough during our stay to meet both Minnie and Mickey in pajamas. Nightly readings of bedtime stories are in English, Cantonese, and Mandarin starting at 9:15PM. The loveliest aspect of this club lounge is that our room was only a few feet away, so our children were able to change into their pajamas and watch the fireworks from the lounge only moments after a private character meet & greet – pure magic! We had yet to step foot in a theme park, and it was already a magical vacation. All Kingdom Club guests are given four priority ride passes and priority seating to Mickey and the Wonderous Book. It’s a good thing we were wearing sneakers. Upon arrival at the park, there were already queues to enter, but as we were staying on site, we entered quickly through the specific entry for guests staying at the three resort hotels. The character meal was located at the hotel’s Enchanted Garden, resembling somewhat the restaurant of the same name on the Disney Dream and Fantasy. We were easily seated within five minutes of our arrival. Score one for HK Disney. I can’t stand the waits for popular character dining at Disney World that happen even with a reservation. We were seated in the center of the restaurant, and soon it became apparent that this buffet was no ordinary Disney buffet! “They have crab legs!” my husband exclaimed, “real ones!” as he carried a towering plate full of fresh shrimp, crab legs, and lobster! I was enamored by the sushi chefs who made rolls to order, and both of my children piled their plates with traditional western child favorites along with kid-friendly Chinese dishes. They were in heaven. The wine was free flowing and came quickly; my husband, already happy with his seafood bonanza, took our waiters recommendation for a Chinese beer. As much I think the highlight for me and my husband was the abundance of food and wine, for my kids, it was the characters. Here, dinner is a two hour, timed affair, and this ensures that the characters have plenty of time at each table. They were enthralled by my Mickey T-shirt wearing American children, and spent a fair bit of time at our table. To finish it off, dessert was a glorious affair of chocolate fountains and Mickey-themed Chinese desserts. On our last morning, we relaxed, fully utilizing the gorgeous seven dwarf toiletries in our room and made our way toward check out. We had one more surprise for the kids though, we had pre-booked Disney themed dim sum at the Crystal Lotus – the award-winning dim sum restaurant inside the hotel. 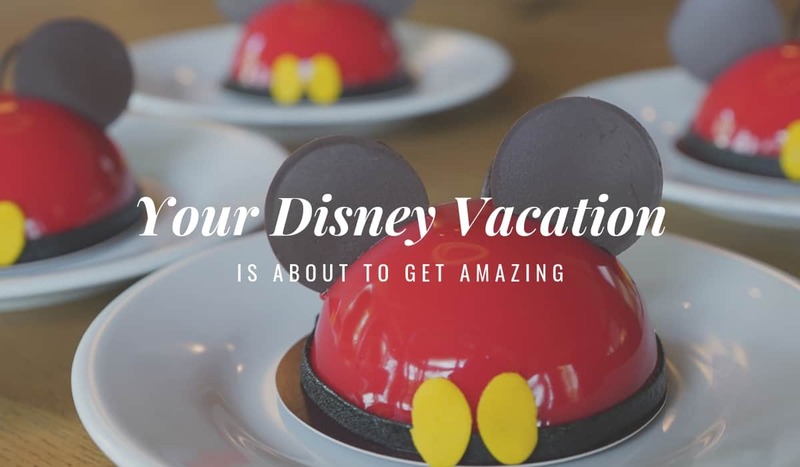 Given this was a Sunday, they offered a special menu – Disney Dim Sum! Note that this is only available to those that pre-book, and I had pre-ordered our Dim Sum a month in advance. This was a family highlight – not only was the food amazing, the theming was splendid and the dim sum adorable – we loved it! This was definitely a highlight of the trip as my husband and I love any gourmet food couched as kid friendly. 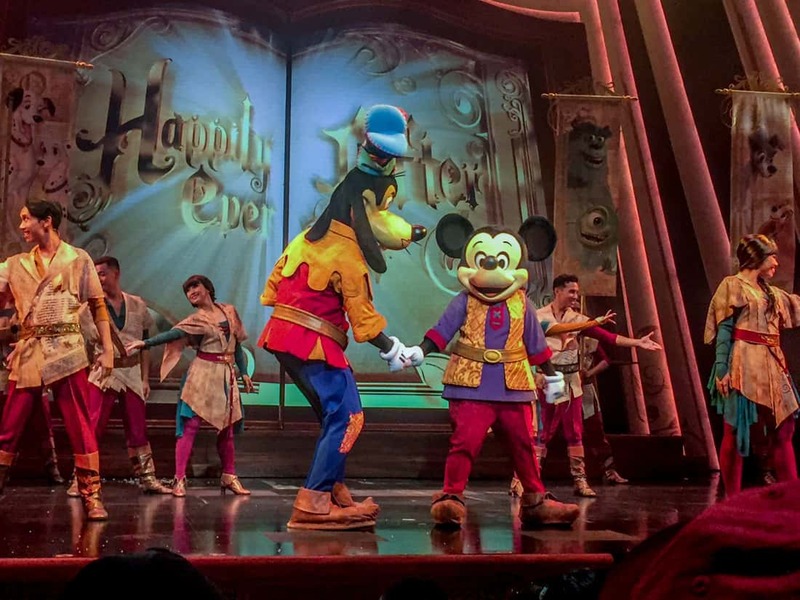 The Happily Ever After Show at Hong Kong Disney. Here’s a tip. If you can visit Hong Kong Disney during their school year in the middle of the week, you will see very few people. Local customs do not indulge in school absences. The summer season is crowded, hot, and humid, but it is typically when are travel in Asia. The whole park is a mixture of Western and Asian themed areas. 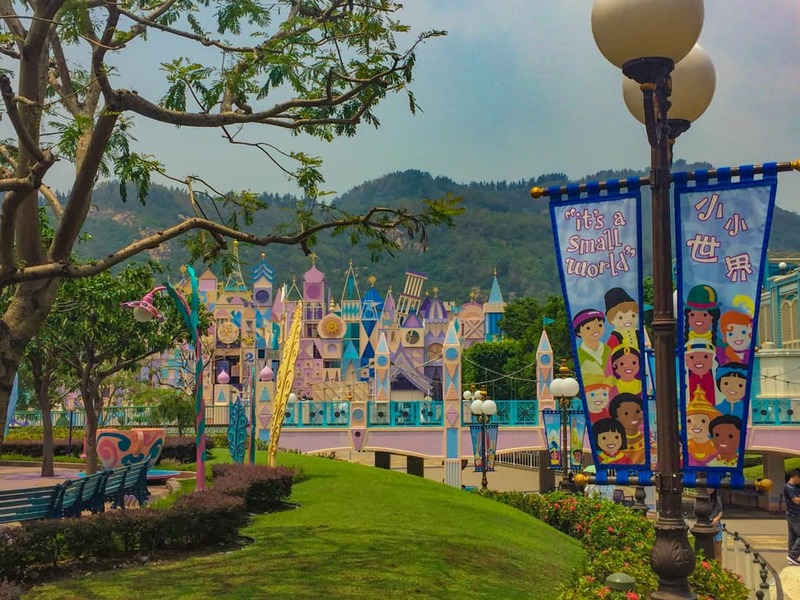 Hong Kong Disney has had Toy Story Land since 2011. Main Street, U.S.A., Fantasyland, Adventureland, Tomorrowland, Grizzly Gulch, and Mystic Point are the others. All cast members speak English, Mandarin, and Cantonese. All signs and menus were in English, too. The next morning, after a perfectly average breakfast in the lounge, we decided to walk the 8 minutes to the park, rather than take the complimentary shuttle. Big mistake, as at 9:30 a.m., the heat was brutal. Notice how sweaty we all look in the photos. Summer in Hong Kong is not a breezy affair. Guests of the three Disneyland resorts have a special, expedited entrance. Security here is more efficient then in Disney World, and we were ready to meet Minnie & Mickey! Unfortunately, so was everyone else. We learned that unlike Orlando’s Magic Kingdom, Hong Kong Disney allows guest in one to two hours before the actual park opening to line up for character greetings. No thanks, we were lucky enough to have met Mickey the night before, so we headed right to guest relations for our tour. 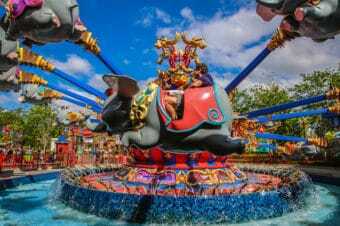 Theme park ticket prices are available for a single day or as a two day ticket. A family of four can purchase two-day tickets for $350USD, considerably less than Orlando’s prices. Discover my favorite hotels in Asia with kids! Disneyland calls their VIP tours Disney Spectacular Tours, and they are a flat rate for six guests and lasts three hours. This is slightly different than VIP tours at Disney World where there is a minimum number of hours booked. At the time of publishing, these three-hour tours cost just over $700USD. A six-hour tour costs just over $1,000USD. We had booked a three-hour tour with a break for lunch followed by another three-hour tour. At $1,400 USD, this was still less than half the price of an equivalent six-hour VIP Tour in Orlando with Disney. And the full six-hour tour would have been less than a third the cost of a tour in Orlando. Disney park tickets are still separate. 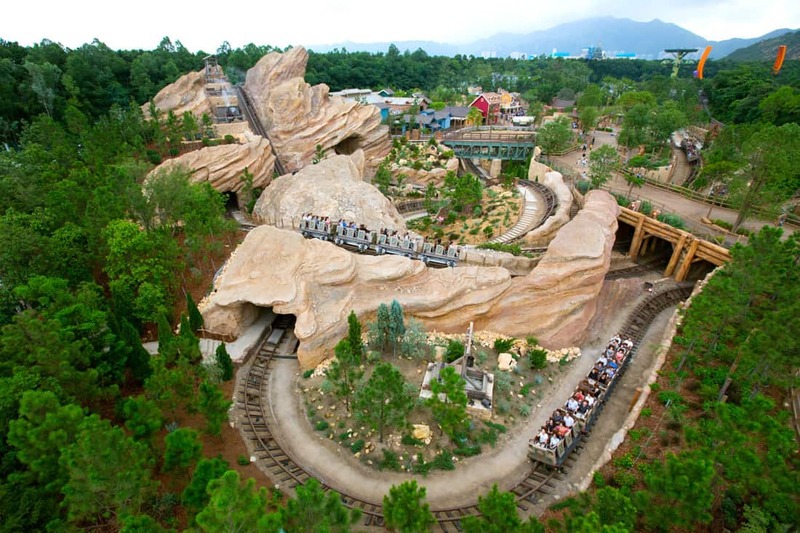 Grizzly Gulch has one ride: the Big Grizzly Mountain Runaway Mine Cars. Photo courtesy of Hong Kong Disneyland. At the stroke of 10, Bibbidi – Bobbity – Boo – Tiffany appeared replete with stickers, pins and a fabulous wealth of knowledge. We had read prior to our arrival that stickers are a huge thing in Hong Kong Disney and every cast member stocks them and loves to give them away. 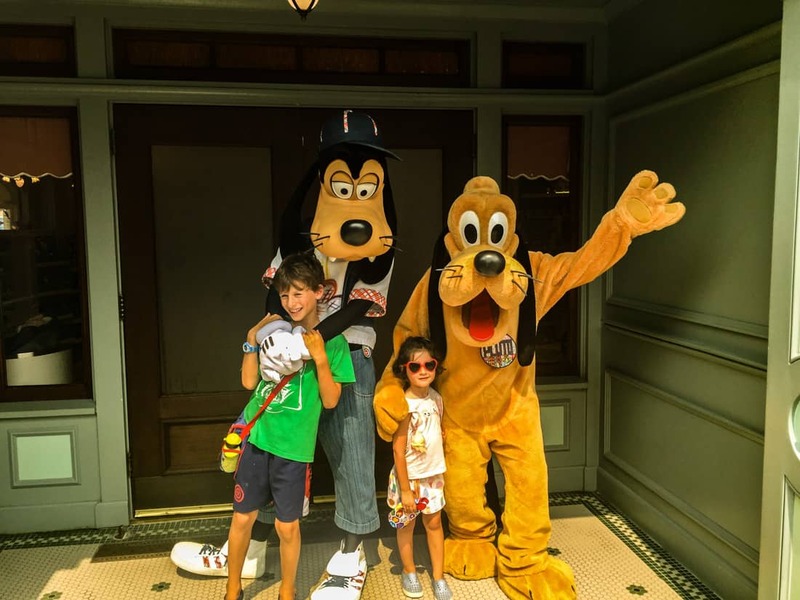 Sure enough – from the security guards to the waiters, my children filled their bags with complimentary Hong Kong Disney stickers for 3 days. Tiffany, upped the ante, with some complimentary limited-edition pins and plush and my children were enthralled! We let her lead the tour but specified that we wanted to do attractions that were unique to Hong Kong Disney first. She led us through a gorgeous tour of the park, highlighting the show “Mickey and the Wondrous Book.” The show was magical and so unique. It’s a Small World in Hong Kong has an enhanced section honoring Asian culture. It’s a Small World was super special as it has a whole Hong Kong section in the ride. Disney characters are hidden through-out the ride. Tiffany also took us on the popular Iron Man Experience which, at peak hours, can get wait times of up to 3 hours! We rode twice without waiting one minute. What a treat! Thanks to the VIP guide, we were able to ride the Iron Man Experience twice. Photo courtesy of Hong Kong Disneyland. 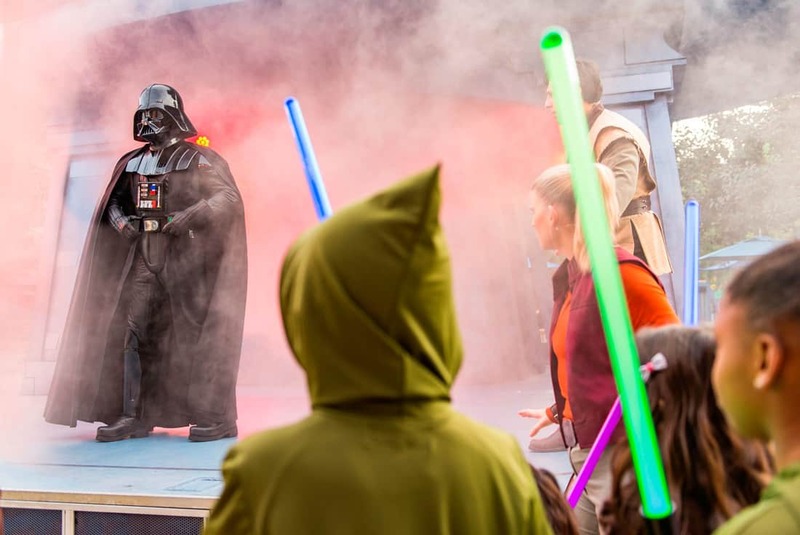 Do you really need a Disneyland VIP Tour? While normally, I think that I can navigate theme parks well on my own, here it’s a different game. First of all, this park is extremely crowded, and there are people spilling everywhere. Disney has different standards adapting to the local culture, so it’s not uncommon to see people laying on the floor, shoes off in the shade taking a nap. Umbrellas are everywhere, as people try to block out the sun, making it impossible to see stage shows or parades. 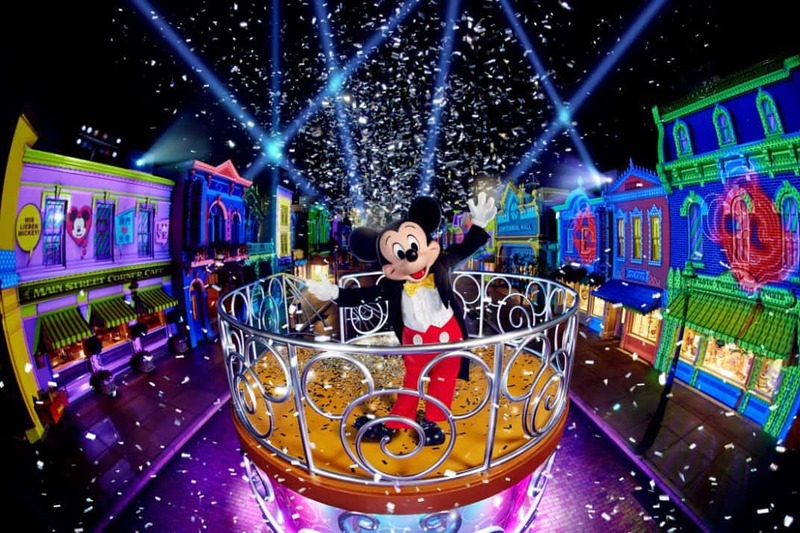 Thanks to our guide, we had VIP viewing at both the afternoon parade and the evening Paint the Night spectacular. The other reason I’m glad I had the guide is because there are cultural differences around queuing. Line cutting, jostling, and even shoving is fairly common place. Tiffany noted for us this is just part of the local culture! After our whirlwind 3-hour morning, we were more than ready for lunch at the Plaza Inn at the end of Main Street USA. While some may be fooled by the Americana name, we were ready to indulge in some traditional Chinese fare. I’m pleased to say that the dumplings, noodles and other delicacies did not disappoint, and both of my children slurped up wantons like locals. This is in sharp comparison to the Main Street Corner Cafe where we ate the following day for less than mediocre service and passable American food. Stick with local food. If you love Mickey bars, what will you think of Minnie bars? After lunch, Tiffany whizzed us past two-hour wait lines for Grizzly Gulch, Jungle Cruise and the family favorite, Mystic Manor. 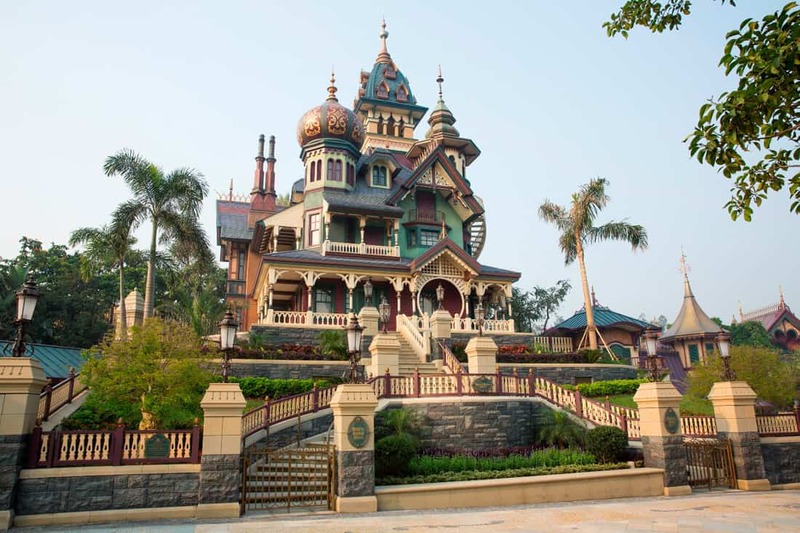 Mystic Manor is the Hong Kong version of the Haunted Mansion, but it revolves around a mischievous monkey named Albert. We, as a family, loved this ride so much! It has a two-track system so Tiffany ensured that we had a turn on each track for the different experiences. Our family’s favorite is Mystic Manor located in Mystic Point. After Mystic Manor, situated in Mystic Point which had been built to look like the jungles of Cambodia, we were off for a real treat – Toy Story Land. This gorgeous land is home to the Slinky Dog Spin, the RC race, and the favorite Toy Soldier Parachute Drop. Had it not been 100 degrees Fahrenheit in the shade, we might have spent more time in this land. 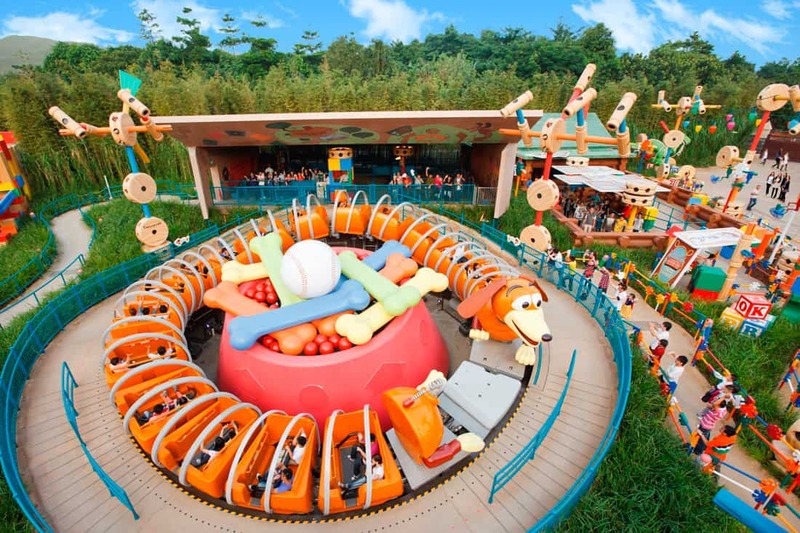 Toy Story Land opened in 2011 in Hong Kong with the Slinky Dog Spin. Photo courtesy of Hong Kong Disneyland. Soon, it was parade time, and we had a shady view for the Flights of Fantasy Parade. The parade was gorgeous, and we were quite grateful to not be blocked by umbrellas. We were also given passes as part of our tour to the Paint the Night parade, though they could not guarantee VIP viewing at the Fireworks. We were slightly annoyed by this at first, but then we saw the view from the Castle Club and were delighted. Seven hours after our first tour began, we started to bid Tiffany good-bye, but she had us wait on Main Street for a moment. Warm and exhausted, we were momentarily confused but very quickly, she handed us a bag full of souvenirs — stickers, pins, tsum-tsums, and snacks! While the snacks nourished us on our 12-minute walk back to the hotel, we were greeted in the Kingdom Club by cold beer, juice, dumplings and powerful air conditioning. We were in heaven. After cooling off at the club, we made our way back to the park for Paint the Night. While the park was mayhem, we enjoyed our VIP spot and loved the parade. We were met by other VIP guides who handed out pins, more stickers, water and trivia as we watched the gorgeous floats glide by. When the parade was over, we opted to depart the park and watch the fireworks from the Kingdom Club in the air conditioning, all while hanging out with a pajama Mickey Mouse. Magic indeed! Our VIP tour continued very much the same the next day, taking us through some of the overlooked attractions from the day before. We loved the Lion King show, and could not believe the caliber of the performances. Our VIP tour enabled us Jedi training on our own schedule. Photo courtesy of Hong Kong Disneyland. The Star Tours – Hyperspace Mountain was a big hit with both my husband and my son and while Vip tour guides can’t technically help you with wait time for characters, we were whisked to the head of the line to meet Chewbacca, R2D2, and BB8. We were also offered Jedi Training at our convenience. The second day also allowed us to meet Chip & Dale, Sophia, and a host of princesses all without waiting. We also did some old favorites such as Dumbo, Winnie the Pooh, and the Teacups. We were all moving slower on the second day and Tiffany complied easily, showing us smaller sights such as the Garden of Wonder and the Princess Gardens. By 5pm, we were all fading quickly, so we parted ways with Tiffany and were once again gifted with many souvenirs. At this point, we all but melted into the Club Lounge only to be offered complimentary room service dinner for the kids, and bottle of champagne for us. Yay, for more magic! Minnie made the rounds for that evening and I’m pleased to say that she did not shy away from the sweaty mess that our family was; instead she delighted in dancing with my 4-year-old daughter and taking many, many photographs with my 8-year-old son. Dare I say he has a crush! Not to be outdone by the new Shanghai Disneyland, Hong Kong Disney is adding more attractions and lands like Frozenland. The Sleeping Beauty castle is closing and will be replaced by a bigger princess castle in 2019. 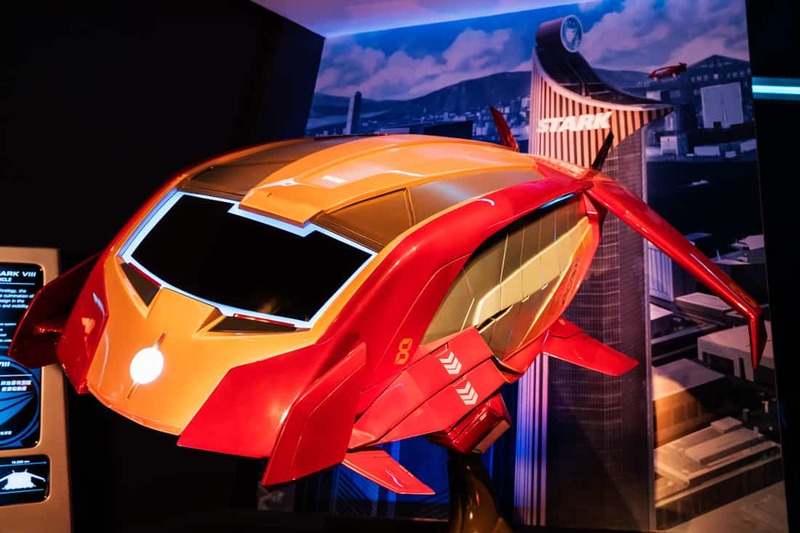 Tomorrowland is opening the park’s second Marvel themed ride with Ant-Man, The Wasp and S.H.I.E.L.D. After a fun filled three days, it was time to depart on to Hong Kong proper, with a glorious stay at one of my favorite properties in the world, the Four Seasons Hong Kong. We departed Disney with a lot of awesome memories, too many photos and bags full of souvenirs and stickers. Oh, and with tired and happy kids, this was a big win. We’re often asked if we would return to Hong Kong Disney – I’d tell you, but I’m currently on hold booking another VIP tour this summer! Ive been to FL and CA, def want to visit them all at some point! My son (11) and I visited in October 2018 and agree this is the best value Disney Park. We loved the smaller feel, less crowds and Asian touches. We visited at Halloween expecting the park to be busy, but queues were short and cast members shared candy and stickers all day! We chose to stay in Hong Kong and travel on the MTR giving us the best of both. Can’t wait to go back….